Peacefully at the Northumberland Hills Hospital on Monday February 18th in his 91st year. Beloved husband of Patricia Johnson. Loving father of Stephen Farrell (Lorraine) and Martin Farrell (Dana). Dear grandfather of Neil, Tyler, Kevan, Russell and Kimberly. 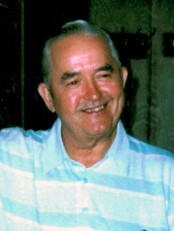 Brother of Marjorie and the late Herb and Arlene. Lovingly remembered by his life long family friend Bernice, his nieces and nephews Brian, Diane, Nancy, Ian, Charlene, Samantha, Jason and his brother-in-law Ron Whiteley. Cremation has taken place and a private celebration of life will be held at a later date. If desired donations may be made to the Northumberland Hills Hospital Chemotherapy Unit. Condolences received at www.MacCoubrey.com.